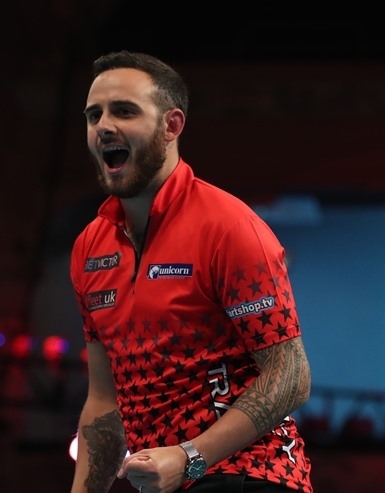 Unicorn ace Joe Cullen reached the semi-finals of the German Darts Championship despite being far from happy with his form. The tournament in Hildesheim was won by Michael van Gerwen who beat James Wilson 8-6 in the final. Van Gerwen dropped only seven legs in the entire event including a 7-0 win over Cullen in the semi-finals. The Unicorn man started with a 6-4 win over Josh Payne and he saw off a Jan Dekker comeback to win 6-5 in the last 16 before sweeping to a 6-1 victory over Adrian Lewis in the quarter-finals. That was his first win over Lewis in nearly 10 years. But Cullen remains one of the most consistent players on the Euro Tour in 2018. Kyle Anderson hit eight perfect darts in his 1st Round win over Lee Bryant but the Team Unicorn Aussie then missed two match darts and lost in a deciding leg to World Champion Rob Cross in one of the matches of the weekend. Michael Smith’s run ended with a 6-4 last 16 defeat to Ron Meulenkamp.